Welcome to this year's Christmas Countdown! Unlike last year, we're starting today, what with the 12 days of Christmas and all. 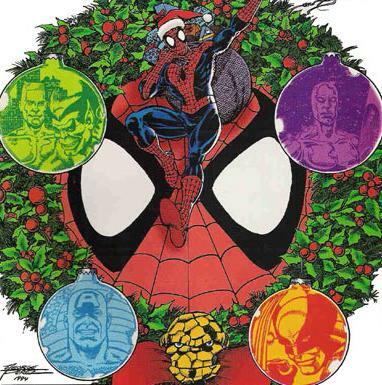 We'll kick off with my favorite artist, George Perez, drawing my favorite Marvel character, the Spectacular Spider-Man, in a festive holiday mood! Twelve more days till Christmas!